As always, we'll start with the basics: the packaging. This is small and slimline, making it the perfect travel palette. It is plastic but doesn't feel overly cheap and does snap shut firmly. I like the design on the front with the warm tones, the flames and the roses, and the fact it has the shade name under each eyeshadow. 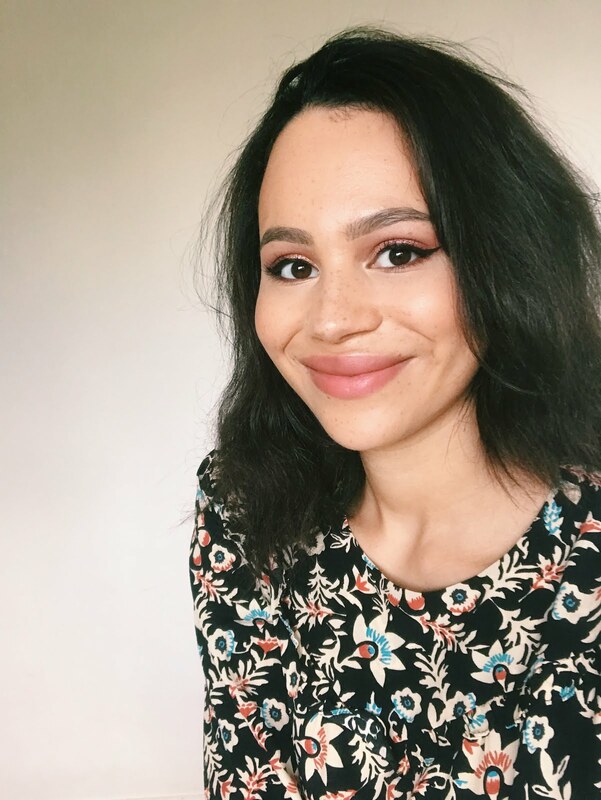 I'd originally been tempted by the full-sized Naked Heat Palette | £39.50, however I just wasn't sure about the shimmers in there - to me, they were almost all mid-toned coppers that would give a similar look on the lids, so I didn't think the palette was versatile enough for me to invest in. A lot of people were annoyed that instead of giving shades that compliment the original palette (as the Naked Basics 2 and 1 did for the Naked line), this palette just lifts a selection of the mattes from the Naked Heat and puts them in smaller packaging. 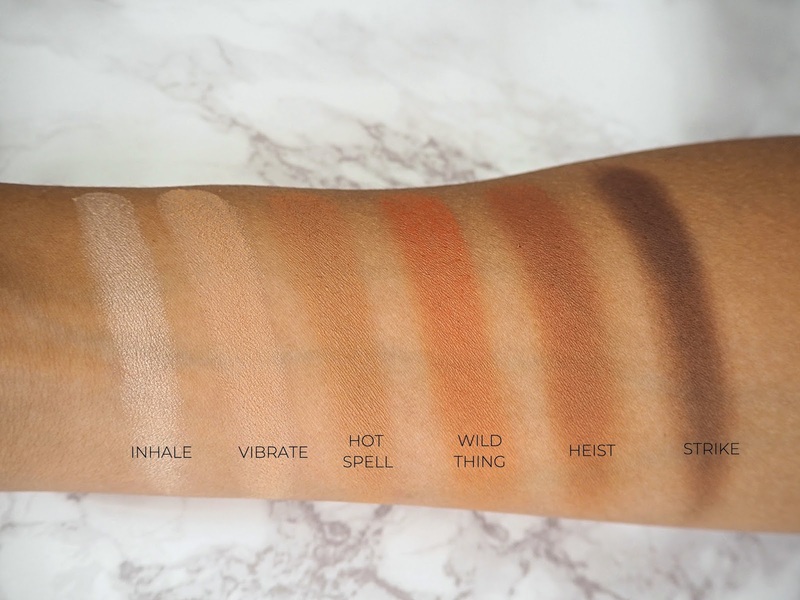 Therefore, for me, this was a great buy because these are the colours that appealed to me from the original release, but it means that if you have the Naked Heat then you don't need this! 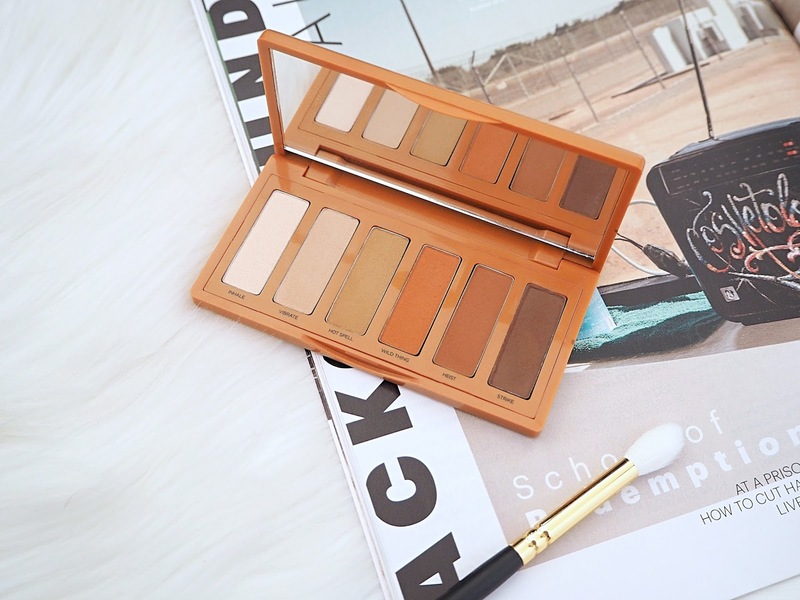 What I really love about this palette is how smooth, soft and easy to blend these shades are - I think mattes are what Urban Decay really does well! Even if you're a beginner; you really can't go wrong with this formula. I know these sorts of warm colours can be intimidating, but I can't think of a better palette to experiment with than this. They're pigmented, but not overly so, making them a dream to work with. I can trust these to really last on my eyes too without fading much or creasing, even on a long weekday. The colours themselves are, of course, gorgeous! Inhale is a white brow-bone highlight with a slight sheen to it. I personally could have lived without this colour but I do use it when I have this palette on hand. Vibrate is a light-medium camel brown that I use as a base colour, to set the lid, as it's quite close to my skin tone. If you're fair, this could also be a transition for you. Hot Spell is the shade I usually transition with - it's a very warm medium brown with a strong orange undertone. Wild Thing is that gorgeous fiery orange crease colour and Heist is a more red, muted option for the crease. Strike is deep, warm purple that can be used to smoke out the outer part of your crease and / or across the lower lash line (I often mix it with Heist for this). This isn't a palette you're going to get dozens of different looks out of, but there is some variation and you can go for something very simple and everyday or something more smoky for the evening. I don't usually go for all-matte looks but this has had me doing a few! 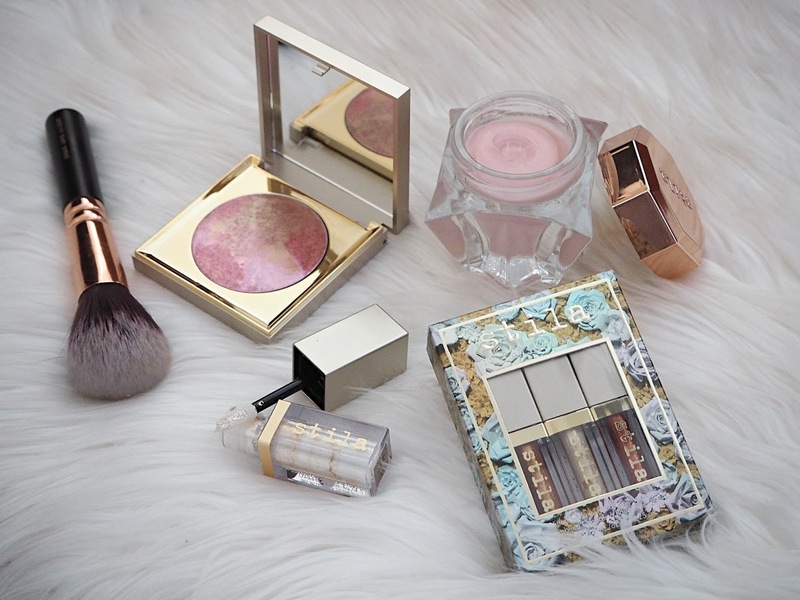 It's also a great companion product if you have another palette you love but is quite shimmer heavy, or maybe one that has golds and browns but you want to add some of these super-warm tones into the looks you create with it. Also, as someone who uses a lot of cream eyeshadows, they're perfect to use with this palette - I can go away and pack a pot or stick shadow and this palette and get a decent variety of looks (going from simple matte browns in the daytime to reds and purples with a wet-look shimmer press onto the centre of the lid for a glam night out look). 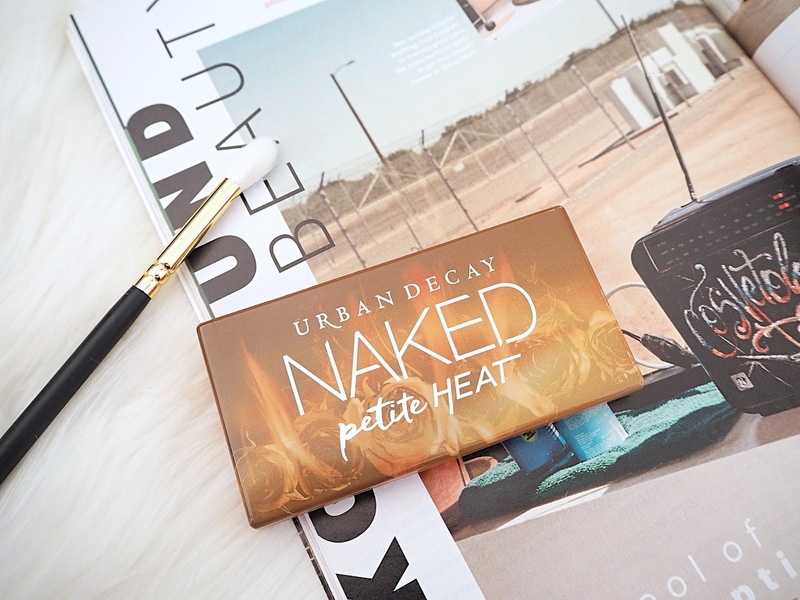 Have you tried any of the mini Urban Decay matte palettes or the original Naked Heat?